The full moon has befriended man for all of existence. Before the onset of artificial light, the darkness of night was vast and impenetrable. For the human, traveling by night was dangerous and full of the unknown. He would rely on the periods when the moon was most full for his travels. A night brightened by a midnight sun became a loyal and trusted companion. The moon, near or at its fullest point, creates a certain magic for all beings across the earth. During full moons, vegetation growth accelerates, reproduction increases in humans and animals, the tides grow in strength, and even babies tend to be drawn to birth. 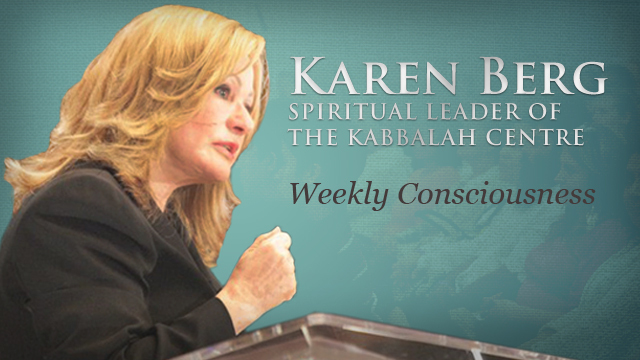 In addition, Kabbalah teaches righteous souls present themselves during the full moon, offering wisdom and a deeper connection to the Upper Worlds. The power of the moonlight can pale in comparison to the might and intensity of the great sun, but we live in a world of paradox. What seems insignificant and small is, oftentimes, of great importance. We humans represent lunar intelligence, while the Creator represents the solar. Our bodies represent the moon-vessel, while our soul is the shining sun that supplies us with spirit and energy. We derive no light of our own, only channel and reflect the energy of the Divine. It is said that we can survive without water and food, but not for a split second without the Light of the Creator. This week, we, the vessel and our bodies, are raised to the level of wholeness and complete unification. Our vessel that normally struggles to house the energy of Divinity, finally is able to unify with it. We are restored, made whole, and reach our peak. We shine in the night, reaching our full splendor, to become the Midnight Sun. "This week, the portion of Pinchas assists us with healing energy of all kinds: physical, emotional, and spiritual." Our priceless gift this week is the famous portion of the Torah known as Pinchas. The portion of Pinchas is known by the kabbalists to be the definitive portion of healing. This week, and portion, assists in healing energy of all kinds: physical, emotional, and spiritual. It is a remarkable gift of the Universe given to us only as the end of the kabbalistic calendar begins its approach and we are able to funnel the energy from the entire year. The story of Pinchas tells the tale of Pinchas, the grandson of Aaron the High Priest, and his noble act to save the Israelites. He single-handedly and courageously stopped a plague that developed among them. Pinchas took selfless actions to save the people and thought nothing of what consequences it would mean for himself. He acted in pure nobility and righteousness. He activated within himself the Light of Sharing, that is within us all. He became fully empowered, bringing light to the darkness. This phenomenal act of sharing and sacrifice, afforded him to have his name as the portion’s title. Pinchas showed us a pathway to doing the same, thus creating healing and restoration on all levels of our being. As the story continues, we read about Moses naming his successor. The Creator informs Moses he will not be joining the Israelites in the Promised Land and a new leader needs to be named. Joshua is appointed the new successor and Moses transfers his leadership energy to him. This portion offers us the complete revelation and maturity of us, the vessel. This week, as we experience the final days of the lunar month of Cancer, in which we are ruled by the moon, the energy of the entire year and all of our work funnels into our beings. It is now our time, as the vessel and moon, to shine bright in the night. It is our time, now, to activate the Creator within and behave in a manner of nothing less than human dignity and loving kindness. In this way, we are able to become like the sun and be an equal ruler in the sky. After a year's cycle of our spiritual work, we are able at last to house the energy of the Creator, and shine in our brilliance. With this, we can experience the full array of Divinity, bestowing upon us the ultimate healing. We are nurtured, restored, and revitalized like never before. Our bodies are helped made new and our broken spirits are made whole. It is a week when Kabbalah students from around the entire world make extra effort to connect to this portion because of the priceless and beneficial energy offered. "We become a new source of love and goodness for the world and all of its inhabitants who so desperately need it." This week in your meditation, picture yourself as complete and whole, connected in totality to the awesome love of the Creator. As we have transformed our actions from self-involvement and egoism, into altruism, true charity, and sacrifice for others, we are filled with the cosmic blessings of Light, love, and the full force of Divinity. All wounds are healed. Broken hearts are mended. Our frail spirits are renewed. Our bodies are nourished and given the energy to heal. We shine in the night, an equal ruler in the sky. Like a small candle, we are able to illuminate the darkened room that is the world, removing chaos, hatred, fears, and tears from the face of the planet. We become a new source of love and goodness for the world and all of its inhabitants who so desperately need it. It is our time to shine. We are the Midnight Sun. How Can I Be Less Angry?